How we get the news has changed. Paper and ink bearing yesterday's news is, well, yesterday's news. News on TV can bring events into your sitting room, but mostly at the end of the day. Radio still offers immediacy, but in most countries where mobile penetration is high, the smartphone breaks news quicker than any other channel. Social media plays a huge part, but so too do push notifications; alerts sent from news outlets to users who have downloaded their apps. New research from the Tow Centre for Digital Journalism at Columbia University and the Guardian US Mobile Innovation Lab takes a look at how American news outlets are using push alerts to reach audiences. It outlines how journalists approach pushing news direct to readers' pockets, the frequency of these messages, and how publishers differentiate themselves on users lock screens. The researchers monitored alerts from 31 iOS apps and Apple News. They also interviewed technological and editorial staff that work on news alerts. So what were the findings? Well, news organisations sent an average of 3.2 alerts a day, according to the research. But there are huge variations; seven of the outlets studied sent 10 or more alerts in a single day. Perhaps most interestingly, the research found that news alerts aren't limited to news - 43pc of push notifications weren't about breaking news. Ten publishers sent more non-breaking news alerts than breaking news ones. "It's incredibly difficult to make your brand stand out from the rest," says Pete Brown, Tow senior research fellow and the report's author. "It's almost impossible to add voice or character to that limited nugget of information. Consequently publishers have realised that they need to look beyond breaking news. There's a strong feeling that audiences have a much higher tolerance for alerts than they used to - partly because they've become accustomed to getting so many from so many different places. So publishers have become much bolder when it comes to sending alerts about non-breaking news. They'll push stories they think are particularly representative of their brand, or stories they've put a lot of resources into. In other words, push alerts have become important for brand-building - they are a vital place for news outlets to remind their audience who they are and what they do best." But what about news outlets that rely on paywalls? Can push notifications help them attract new subscribers or retain existing ones? Brown believes they're more likely to skew their understanding of how their alerts are performing. "One problem that outlets with paywalls have to deal with is what we might call 'vanity installs'," Brown says. "That's when people download an app and opt-in to alerts without a subscription. They might just want the alerts from a prestigious outlet, or perhaps a local outlet. These vanity installs cause a headache as they warp those outlets' metrics. Take click-through rates, for example. Non-subscribers are never going to tap on any alerts because they know they won't be able to get past the paywall. That can drive down the click-through substantially and makes it much harder to gauge what does and doesn't play well with subscribers, which is who the outlets are most interested in understanding." Publishers are increasingly sending alerts that are more conversational in tone. As a result, they're often featuring (avert your eyes, news purists) emojis. "You would not believe the amount of thought people are giving to emojis. It really blew my mind," says Brown. "Emojis are so valued because when they're used sensibly and interestingly, they can really add character, voice and fun to an alert. That can help a brand stand out. Publishers talk a lot about adopting a conversational style in their alerts. People use emojis in their written conversations with friends, so it follows that news alerts would see them as a way to feed into this conversational style and to help create a chummy feeling of intimacy between the news brand and the consumer." But publishers haven't universally jumped on the emoji bandwagon according to Brown. 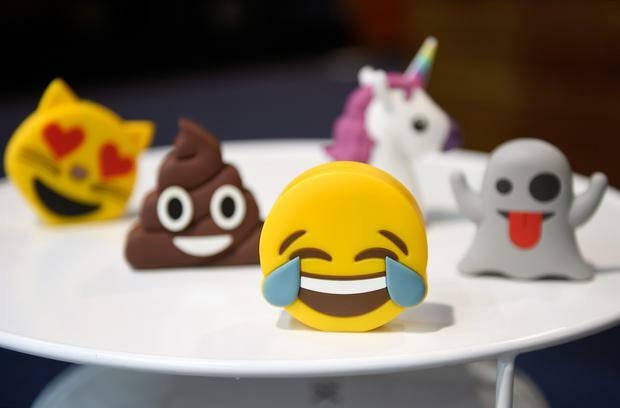 "Some publishers will say outright they don't fit their brand, and there's no denying that emojis are divisive among people in the newsroom and the audience," he says. "I know of at least one newsroom that wouldn't dream of using emojis in their own app because they're adamant it wouldn't go down well with their core audience, but they did get permission from the top to use one, once, in an Apple News alert."